Choosing a wedding makeup artist? 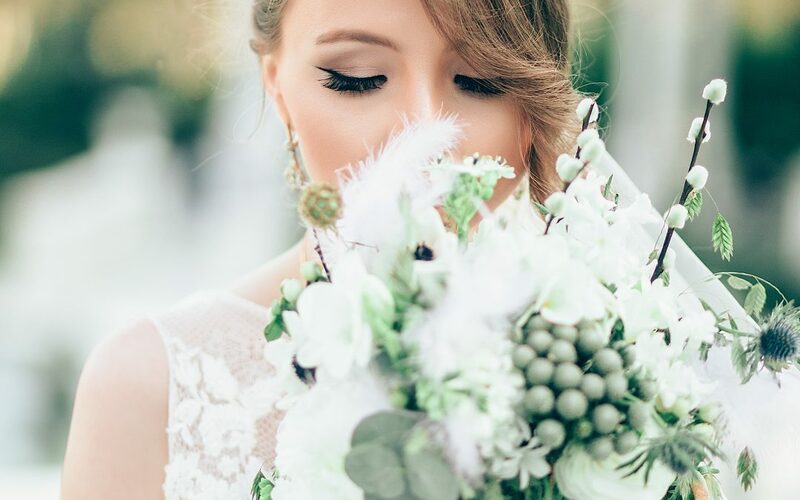 Having your makeup applied by a professional wedding makeup artist on your wedding day will help you achieve flawless and long lasting makeup both on and off camera. You will also be able to relax and enjoy your wedding morning, feeling stress-free and leaving the important job of making you look the best you have ever looked, in the hands of a professional. Selecting a makeup artist from google or from a recommendation is the first step, but that is only the beginning of a longer process. Your pre-wedding makeup trial is a collaboration between the bride and the makeup artist and in my experience good communication is THE most important part to ensure a successful outcome. Some brides to be don’t have a clear idea of what makeup they would like and ask me to do what I think is best, others have a clear vision of what they would like and in this case I find that asking the right questions is really important. Words aren’t always the most effective way of expressing their vision (for example one persons ‘natural’ may be another persons ‘dramatic’) so this is where photos are really important. I also send my clients a questionnaire to complete prior to the trial and I ask my clients to wear their ‘going out’ makeup to their trial so that I can see what level they are used to. Wear a white/light coloured top to your trial to help replicate the effect of your wedding dress. You will need good natural light so if the makeup artist is coming to your home for the trial, ideally you need to be near a window. I find it vital that my client is at eye level so I usually bring a makeup artists chair with me. The makeup artist will need to lay out quite a lot of makeup out so a table nearby is very useful. Try to have a facial about a week before your wedding day (and trial if possible). Exfoliate your skin regularly before your trial and wedding day. Wear your ‘going out’ makeup for your trial so that the makeup artist can see what level and style of makeup you are used to. Make sure you have a fake tan trial before your big day if you decide to have one. Get a professional to do your eyebrows before your wedding day (and trial if possible). Take lots of magazine cut outs of makeup you think you would like on your wedding day or save lots of photos on your phone or iPad so that they are ready to show the makeup artist. What brands of makeup will the makeup artist use? I personally use lots of different makeup brands. Over the years I’ve worked with lots of different makeup and I pride myself on selecting the best of the best from each brand. Some are expensive luxury brands and some are cheaper drug store brands but either way, I only ever use them because I truly believe they are the best at doing the job in hand. They include: Mac, Tom Ford, Charlotte Tilbury, Dior, Laura Mercier, Ariane Poole, Clinique, Bobbi Brown, Rimmel, Jemma Kidd, Daniel Sandler, Bourjois. Check with your makeup artist and if you have a favourite product, feel free to ask her/him to use it. Your wedding makeup artist should make detailed notes after the trial so that they know exactly what they are doing on your wedding day and they should recommend which products you should have with you on your wedding day. I always suggest a minimum of concealer, blusher and lipstick. The makeup should be long lasting so there should be no need to re-apply foundation or eye makeup. If possible try to have a bit of quiet time for yourself while you are having your makeup done on your wedding day, perhaps delegate any jobs to your family or bridesmaids and try as best you can to leave your phone out of sight so that you can enjoy the experience and get the best results on the day. Good luck choosing a great wedding makeup artist and I hope you found my tips for making it a great working relationship helpful! For more information about my services please visit my website: www.melenglandmakeup.com.